One of the more-popular features of the hit Pokemon Go video game is its ability to trade Pokemon with other friends. While this functionality used to be limited to trading between Pokemon Go games on iOS and Android smart devices, it's now also possible to transfer Pokemon caught in the mobile Pokemon Go game to the Pokemon Let's Go Pikachu and Pokemon Let's Go Eevee titles on the Nintendo Switch console. Can I Transfer Pokemon Between Go and Let's Go? It is completely possible to send captured Pokemon from the Pokemon Go apps on iOS and Android smart devices to the Pokemon Let's Go Pikachu and Pokemon Let's Go Eevee video games on the Nintendo Switch console. 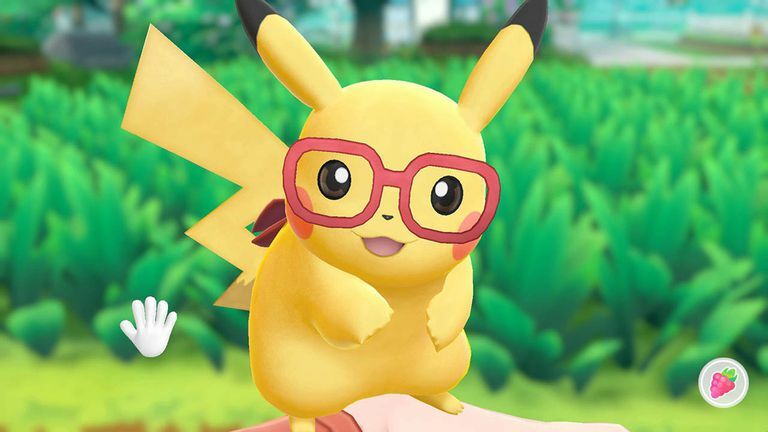 Due to the Nintendo Switch games being set solely within the Kanto region though, only Kanto-region Pokemon can be sent to the Pokemon Let's Go games from Pokemon Go. Fortunately, all non-Kanto Pokemon are unable to be selected during the transfer process so there's no risk of sending them by mistake. Pokemon sent to Pokemon Let's Go Pikachu or Pokemon Let's Go Eevee on the Nintendo Switch cannot be returned to the Pokemon Go iOS and Android smartphone game. Once they're sent to the Switch, they stay there. It's impossible to send Pokemon from Pokemon Go to other Nintendo Switch video games. Transfer functionality is limited to Pokemon Let's Go Pikachu and Pokemon Let's Go Eevee. Unfortunately, there's no way to transfer Pokemon from the Pokemon video games on the Nintendo 3DS, such as Pokemon X and Pokemon Y, Pokemon Omega Ruby and Pokemon Alpha Sapphire, Pokemon Sun and Pokemon Moon, and Pokemon Ultra Sun and Pokemon Ultra Moon, to the Nintendo Switch. Before you can send Pokemon from your smartphone or tablet to your Nintendo Switch, you'll need to connect the two devices. Open Pokemon Let's Go Pikachu or Pokemon Let's Go Eevee on your Nintendo Switch as usual and continue your game. Press X to pause the game. Press Y to bring up the game's settings menu. Highlight Pokemon GO Settings and press A. You will be greeted with a brief introduction message. Press A to continue. The game will ask you if you wish to pair your two games. Highlight Yes and press A to begin the pairing. Open Pokemon Go on your iOS or Android smartphone or tablet. Make sure that Bluetooth is enabled on your device. Scroll down to the bottom of the menu and tap Nintendo Switch. Tap Connect to Nintendo Switch. The name of your console, Nintendo Switch, should appear on your smart device within the Pokemon Go app. On your Pokemon Let's Go game on the Nintendo Switch, you will be given a notification altering you to the connection to your Pokemon Go account. Highlight Yes and press A. You will be presented with a completion screen. Press A to continue. On your smart device, tap X to close the settings and return to your game. On the Nintendo Switch, Press B several times to close the menus and continue playing your game. After the initial connection is made between your Pokemon Go and Pokemon Let's Go Pikachu or Pokemon Let's Go Eevee game on your Nintendo Switch, you can begin transferring your pocket monsters. Open Pokemon Go on your smart device. You need to connect your Pokemon Go and Let's Go video games to each other before you can transfer Pokemon. If your games have been connected properly, you should see a small Nintendo Switch icon on your Pokemon screen in Pokemon Go on your smartphone or tablet. Tap the Nintendo Switch icon in the top-right corner. After pressing the Switch icon, all incompatible Pokemon will be temporarily hidden. Tap the Pokemon you want to send to your Pokemon Let's Go game on your Nintendo Switch. Tap Send to Nintendo Switch. In your Pokemon Let's Go Pikachu or Pokemon Let's Go Eevee video game on your Nintendo Switch, go to Fuchsia City and visit the Go Park. You will need to have access to this area in-game to complete the Pokemon transfer from Pokemon Go. Talk to the man in the Go Park building and select the Bring Pokemon dialog option. Highlight Start Communication and press A. Highlight Yes and press A. The transfer process should begin. After the transfer is finished, walk into the Go Park and capture it as you would any other Pokemon in the game to add it to your bag and your Pokedex. Should You Buy Your Kid or Yourself a Nintendo Switch? Where's the Nintendo Switch's Built-In Camera?